Singapore's maritime sector will be getting fresh funds and programmes that will build up a local talent pool, improve productivity levels and spur more research and development activity. "Productivity improvements are indeed critical not only for Singapore's maritime sector but also across the global maritime industry, given the universal challenges of cost pressures and shortage of skilled manpower," said Mr Tharman in his opening remarks at the Sea Asia Conference and Exhibition yesterday. 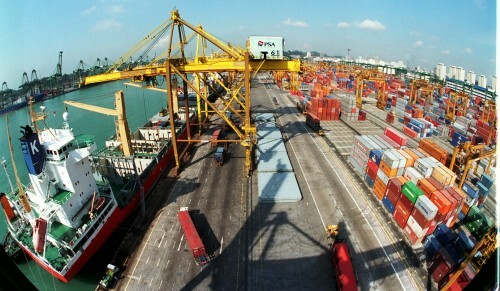 The Maritime Innovation and Technology (MINT) fund, started in 2003 with $100 million, has doled out $93 million to date to develop automated guided vehicles for Singapore's port and ballast water treatment systems for ships. Mr Tharman emphasised the need to grow skills and quality manpower to ensure Singapore remained an attractive international maritime centre. "We must grow a core of local maritime talent who will drive the next chapter of Maritime Singapore," he said. A $2 million Global Internship Award will nudge undergraduates to the sector. MPA expects to grant 100 interns over five years full sponsorship on their maritime-focused local and overseas attachments. About 15 companies have signed up for the programme. Furthermore, Singapore's institutes of higher learning are also turning their attention to maritime education. Singapore's newest university, the Singapore University of Technology and Design, will establish a MPA-American Bureau of Shipping professorship to build up the institution's capabilities in maritime education and R&D, said Mr Tharman. Singapore Management University will offer a Maritime Economics Concentration (MEC) in August, where economics majors will learn about maritime economics, maritime law, supply-chain management and ship finance. About 40 undergraduates will get to go on overseas industry study missions, attend talks by industry practitioners and undertake internships as part of the MEC. Companies, such as DNB Bank, Womar Logistics and Pacific International Lines have signalled their intent to be industry partners of the MEC. "There is a great need for students with specialised background knowledge of Singapore's shipping and maritime companies," said CEO of Womar Logistics, Hans Van der Zijde.